A groundbreaking project has been launched aimed at helping older cancer patients across the world receive the most appropriate radiation oncology treatment for their needs. The study will outline an internationally applicable learning model to help radiation oncologists provide high-quality care for older cancer patients. It would eventually provide a dedicated program for radiation oncology training bodies across the world to ensure that radiation therapy – often the least invasive and most appropriate course of treatment for older cancer patients – is best used to improve quality of life and survival for older people with cancer. 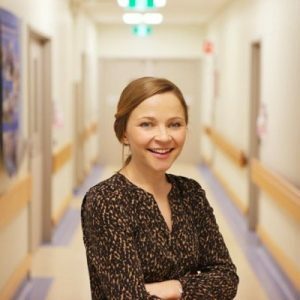 “Ideally, cancer treatment should be personalised to each patients’ overall health and well-being, but sadly this is often not happening,” study author Dr Lucinda Morris, a radiation oncologist at Sydney’s Westmead Hospital, said. “A major factor for this is a lack of knowledge and training among radiation oncologists in geriatrics and geriatric oncology. Put simply, we are not taught how to properly assess and manage older people. We very rarely perform the gold standard assessment for older people, which is called a Comprehensive Geriatric Assessment. “We aim to develop a learning curriculum for radiation oncologists – the first ever of its kind – which will ensure older cancer patients receive the best possible treatment plan. Dr Lucinda Morris is the author of a project which aims to provide the best radiation oncology treatment for global cancer patients. Dr Morris, Chair of the Targeting Cancer Working Advisory Group, said she hoped the study would highlight the potentially life-saving role radiation therapy plays in modern cancer treatment. “Half of the 100,000 Australians diagnosed each year with cancer could benefit from radiation therapy as part of their overall cancer treatment,” Dr Morris said. “Modern radiation therapy is very safe and highly effective and can be an excellent treatment option for older patients because of fewer side effects than other treatments such as surgery and chemotherapy. For more information on how radiation therapy can help treat cancers, click here.